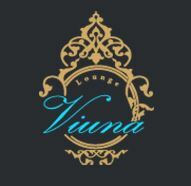 As soon as you walk into the Victorian styled Viuna Lounge you can feel the European influence. Connecting the dots, it makes sense that owner and manager Della is of European heritage and an interior designer. “It’s like being inside a house” Della remarks with a big smile. As you enjoy a coffee and cake you can feel what she means with all the French and Persian influences. All Viuna’s traditional Sicilian desserts are fresh and homemade. “Our offerings were chosen by popularity, we had 10 chefs who brought out all their pastries and we let our customers decide what was their favourite and that is what is on our menu” Furthermore all Viuna Lounge’s coffee beans are imported from Europe so it is their own unique blend. Viuna Lounge can also be booked for group movie nights over dinner – Valentine’s day just passed proved very popular. Come in and say hi to Della – new customers can enjoy a free glass of wine ?